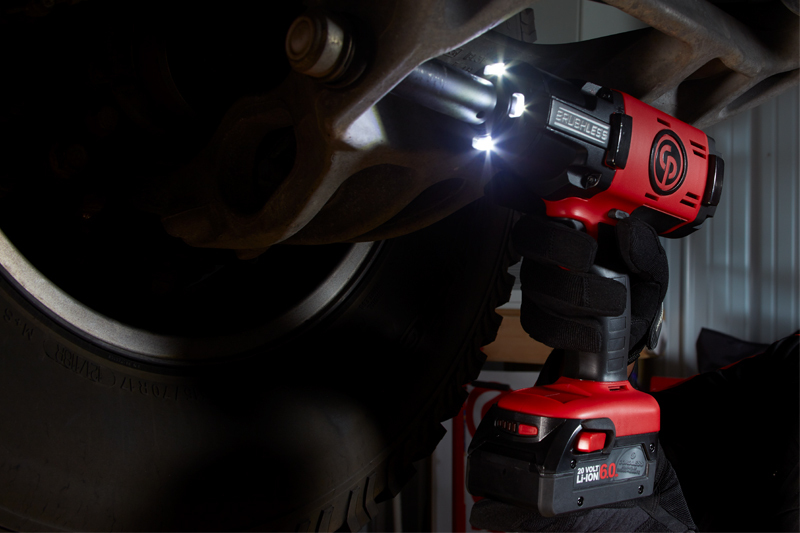 Rob Cooper, of Commercial Motors Watford, puts the new cordless impact wrench from Chicago Pneumatic to the test. The new CP8849 1⁄2′′ cordless impact wrench with brushless motor from Chicago Pneumatic has already been well received by mechanics and proven its worth in the tyre tool trade, but how well does it cope with heavy duty applications? To put the tool through its paces in a commercial environment, we asked Rob Cooper to get a handle on it over two weeks of testing. 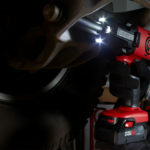 At first glance, Rob noted his approval of the illuminated display on the back of the tool, which enables users to easily see the selected setting. He then decided to see how versatile it was in a few tight access tasks that needed more precision, where the cordless wrench proved more than capable. The LED lights helped to illuminate the task of a gearbox removal and refit of a Volvo B9R – the two shut off modes offering 50% and then 100% were ideal in this application. It also coped well when used on an IVECO Eurocargo, with the slow mode setting acting initially as a snugging tool when working on caliper bolts. 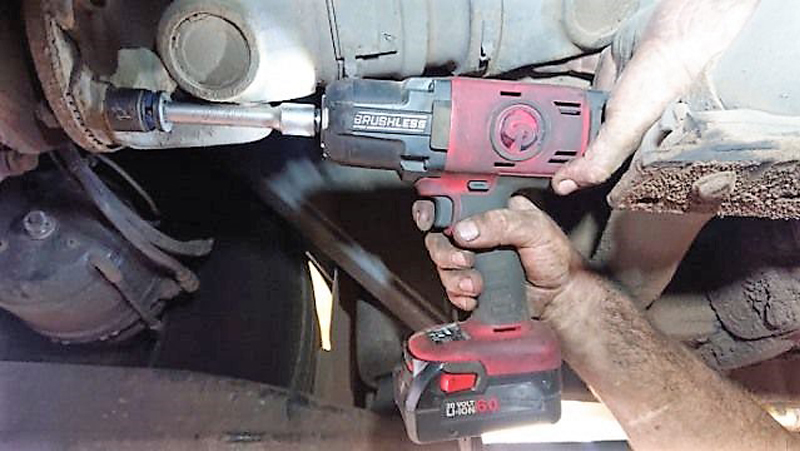 The tool provided plenty of torque when removing stubborn bolts on a propshaft, which would have proved a tough enough job even for a pneumatic tool. Rob’s large workshop can have up to five commercial vehicles in it at any one time, and there are often two or three outside in the yard. The cordless tool became an additional asset here, as tasks on the external vehicles could be completed outside, without the need to trail long, weighty hoses from the workshop. It was used on several applications, such as removing the rear mudguard from a DAF LF, as well as the sideguard from an ISUZU NPR. Rob noted how it made easy work of removing any weathered, tightened bolts when it was in full power in reverse. The operating modes on the tool are accompanied by a number of other features that are said to make it easy and comfortable to use. The Side2Side forward and reverse system enables the user to select different settings with a single hand, while a thermo plastic rubber over- moulded handle guarantees a firm grip and sure handling. In addition, the four front LED lights enable the operator to see clearly in dark spaces. To ensure it can withstand the rigors of vehicle service environments, it has shock absorbing bumpers on each side and on top. The brushless motor adds to the durability. The tool is equipped with two batteries and one charger, with 20V 4Ah or 20V 6Ah options.